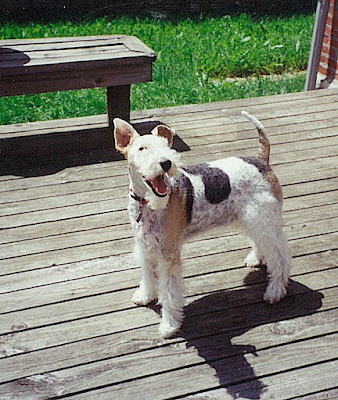 Today's BlogPaws Hop is dedicated to those pets we have loved and lost. Aren't we all grateful to them for the love and devotion they showed us? 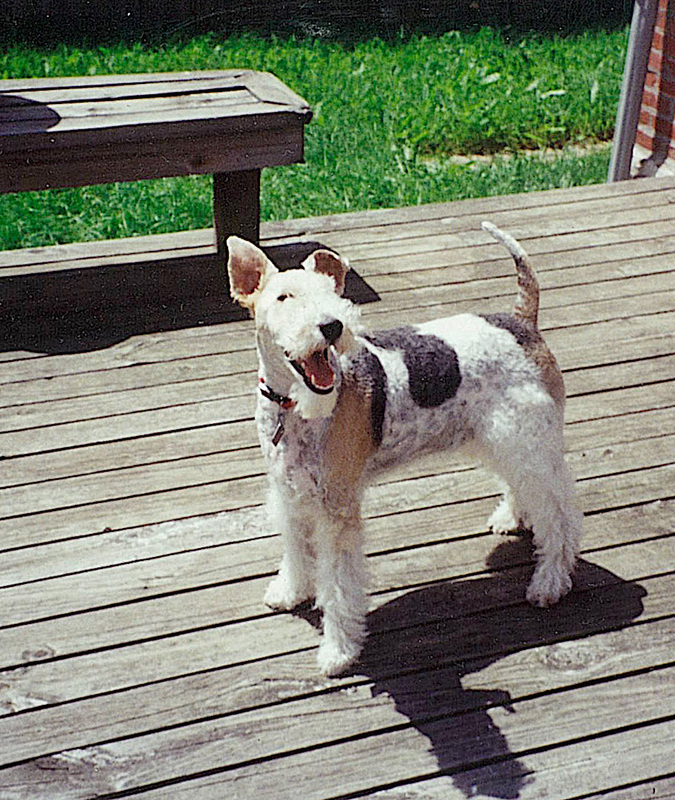 Here's a photo of my predecessor, Carson, the cutie pie (and ornery) Wire Fox that Parental Unit had the pleasure of sharing her home with for 16 years. And in case you missed it, here's the tribute she wrote to "The Great Carsoni"on this very blog! Meanwhile, we still think there's a bit of time left to visit our blogging friends at today's BlogPaws Wordless Wednesday Pet Blogger Hop!